We mention these risk with the help of business coaching services below to complete the coverage that you might need at board levels, but note that these risk services are provided by third parties (as below) and not provided by International Business Mentors. 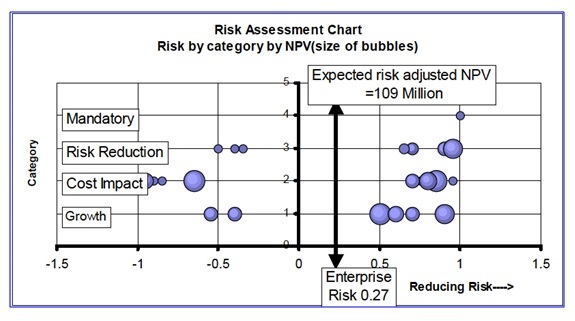 An independent assessment of the overall risks, which are impacting the business? Suggestions on how to improve risk strategy and management? Visible tracking of the business risk over time? Effective Risk Management is central to maintaining and improving competitive advantage, and “Change is the law of life. “Those who look only to the past or the present are certain to miss the future.” John F. Kennedy. Understanding risks in today’s rapidly changing global competitive market place is fundamental. We take a holistic approach to risk management and show intangibles measurable and establish key performance indicators (KPI’s) for risks to be managed. We focus our efforts on identifying, assessing and the how to control risks. We help you develop a risk strategy based on principles of risk management, with the aim in achieving effective ‘transparency’ in risk management for the board. To ensure your people can effectively forestalling the legal liabilities and damage to the business transparency is critical to establish clearly defined level of competence at which risk management decision are made for every level in our organisations. Level of risks, which is recorded and communicated ensuring all people have a clear understanding of the ALARP to be maintained. For the As Low As Reasonably Practical (ALARP) levels of risk to be implement we design and implement a new system of measurement. This new system of measurement ensures the alignment of your strategy; processes, competency, infrastructure and technology (including hardware or software or people-ware), and knowledge meets customer demands at our agreed level of risk, which we can insure with confidence. Continuous risk review will lead to changes in your risk index and improve the risk management of the business. Transparency is the process to establish the relationships of risks within ‘systems’ making visible how all components work together for the life cycle and facilitates the standardisation of processes in managing overall risk. To achieve transparency required the developed of specific approaches which suit your particular business. It is the lack of transparency in the life cycle phases of specification, projects, operation, maintenance, and dismantling where the uncertainties of the future remain hidden and elusive until it is too late for people (Operators, Maintenance, and Contractors) to forestall the law of unintended consequences and for which the Board, and the Executive have to provide answers and pay for the consequences. Transparency also affects the behaviour of people in managing their allocated level of risk throughout the organisation, which consequently affects the bottom line performance and Shareholder value. Transparency is the cornerstone in establishing risk performance needs, levels, targets and building new knowledge in mitigating risks, and aids in achieving informed decision-making with higher levels of competence in managing risks. Capture/maintain and track status of whole of life cycle learning of all people involved in decision making for the life cycle of the technology in use. Plan the control system to continually verify and validate risk performance needs, levels, targets and measurement processes. Communicate deviations from agree ALARP level of risk. Secure the internal and new intellectual property for the life cycle of the business.